Ronald B. Tobias wrote a great book in which he looks at twenty plots that he calls “master plots” – ones that are used time and time again, with great success. If you want to find out exactly what that means and how to use it in creating your own stories, you will have to buy the book! It’s an oldie, from 1993, and unfortunately it is not available as an e-book. 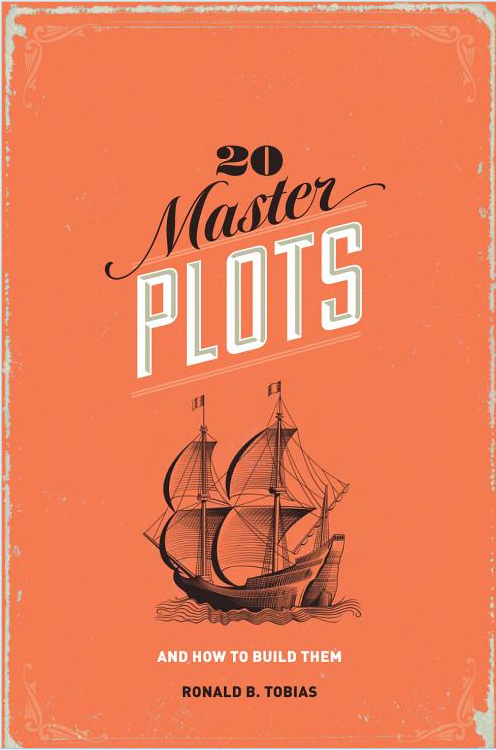 But according to Amazon there are still a number of new and used copies available, so, if this blog tickles your fancy, you can get the book on Amazon by clicking through on this link: 20 Master Plots: And How To Build Them. Twenty years later and still up to date. This is one of those books that you simply should buy. Project Manager. Content Development Manager. eLearning Developer & ICT Trainer [MIITP]. Author of several books, website creator and social media pager. Helping others learn tough stuff the easy way. Eternally curious. Indie writing vs Big-5 publishing.